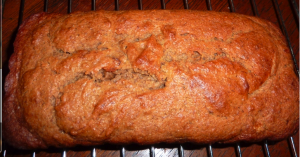 Whole Wheat Banana Peanut Butter Bread - Kosher In The Kitch! 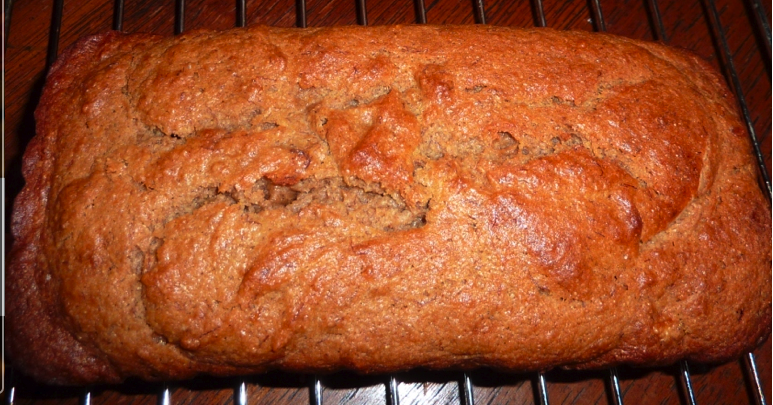 Whole Wheat Banana Peanut Butter Bread - Kosher In The Kitch! Preheat oven to 350 degrees. Grease 2 (2 lb.) loaf pans. In a large mixing bowl, beat bananas, egg, vanilla, oil, and honey, for 1 minutes on low. Mix together flour, baking soda, salt, and pumpkin spice. Blend into banana mixture. Stir in peanut butter. Pour mixture into the 2 greased loaf pans (they should be half-filled). Bake for 45 minutes to an hour. Ready when a toothpick comes out clean. This looks and sounds really delicious! I’ll try it this week.